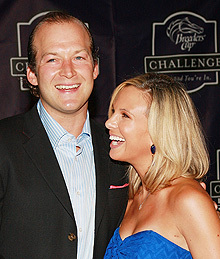 Elisabeth Hasselbeck's new baby boy is named Taylor Thomas, she announced in a phone call to "The View" this morning. Elisabeth and husband Tim welcomed their bouncing baby on Friday in Arizona. She said their two-year-old daughter Grace already "loves him." She will return to the show Jan. 6.